Brighten you Smile for the Holidays! 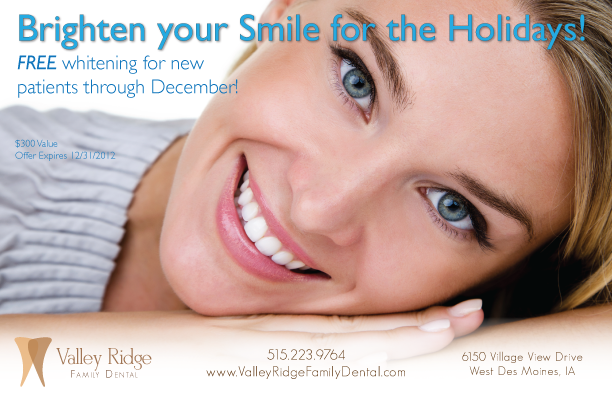 Valley Ridge Family Dental is pleased to announce that we are helping patients brighten their smiles in time for the holidays. Now through the end of December 2012, new patients will receive free clinical strength whitening (a $300 value). 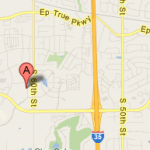 Call 515-223-9764 to schedule your appointment now! This entry was posted	on Friday, November 9th, 2012 at 4:57 pm	and is filed under Blog, Cosmetic Dentistry, Teeth Whitening. You can follow any responses to this entry through the RSS 2.0 feed. Responses are currently closed, but you can trackback from your own site.